I could have easily talked to Ada Palmer for Six Hours. You might wish I had after listening to our conversation. Ada is the author of the Terra Ignota series, a science fiction epic saga that stole my will to read anything else the entire time I was in the clutches of the first book. I cannot wait for my next long flight to continue the journey. 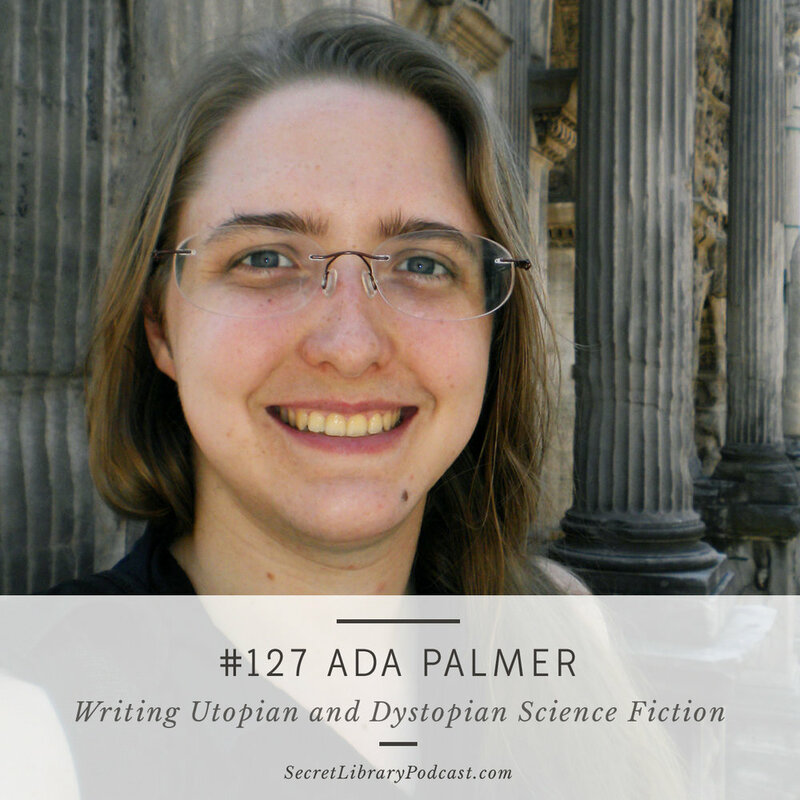 Ada is also a history professor, and we talk about the unique ability science fiction and fantasy have to explore other options and other pathways. We explore the ways fiction can communicate ideas very differently from non-fiction and how her teaching impacts her writing - and vice versa. Finally, we discuss the intricacies of censorship and the project she is working on with former guest Cory Doctorow to draw parallels between attempts at censorship during the advent of the printing press and what we are seeing in the digital landscape today. Definitely a must-listen. Enjoy! What does it mean if your political identity is decoupled from your geographic location? A buyer‘s market for citizenship. Organized religion has been banned, but personal religion is promoted. There‘s a history of “past-future builders” in our civilization, specifically the Enlightenment & the Renaissance, when people looked to the supposed glories of the past and tried to bring them forward to today. If we brought Voltaire forward in time, what would he think about the present, his future? On science fiction can only be speculative, not predictive. Fiction, when looking at the past - at actual history - allows us to be comparative. It‘s speculative comparison, but it allows us to think about the way we ascribe agency. The question of how to imagine change, how to think about what does & doesn‘t cause change, what our action do & don‘t have the power to do, is a big meta-question of history. Moving the Byzantine Empire into space. On why actual history makes terrible fiction. Started with world building, which includes spreadsheets. Has a chapter-by-chapter outline of all four books written before starting book one. Uses a modified Google Map to track her geography. Six months of outlining, after 4 & 1/2 years of world building. In the digital world we are in the middle of big Revolution in information control & censorship, largely driven by big corporations & governments. How to control & monetize & move information. But today is not the first information revolution - see the printing press, for example. What happened then? And what can we learn about today by looking at what happened then? On the reality of censorship, versus what we imagine it is.